A good deal of the social side of our app is based around our belief that people want to share their favorite routes to get around, to train, and to avoid traffic. This all comes down to mapping, and our ability to communicate the complexities of maps in a way that is simple, elegant, and – above all else – relevant to cyclists. First, before you do anything else – before you check your email, before you get up to walk your dog, even before you think of the health and safety of your family (okay, maybe not this one) – check out this map of crowdsourced bike knowledge from the New York Times. To me, it is absolutely incredible – and not just because of what we are trying to build at Hammerhead Navigation. I find it so awesome because it shows just how dedicated, practical, caring, and enthusiastic the biking community is. We look out for each other – we love looking out for each other. Telling our friends about rides they should try out or avoid, gear they should get, or just that they should get off their butts and ride. I seldom turn down the opportunity to research a bicycle purchase or gear recommendation for a friend. In fact, most of the time I spend far too long on this task and end up with an essay of opinion. What makes me excited about this in the context of our company is that there isn’t yet a way to practically tap this deep well of crowdsourced enthusiasm – this somewhat tribal knowledge that seems to smolder around messenger bags, old chains and within those helmet clad heads. What if you could access the data from this map as you rode around your city? What if you could trust our device to get you to where you wanted to go in the safest and most efficient way? 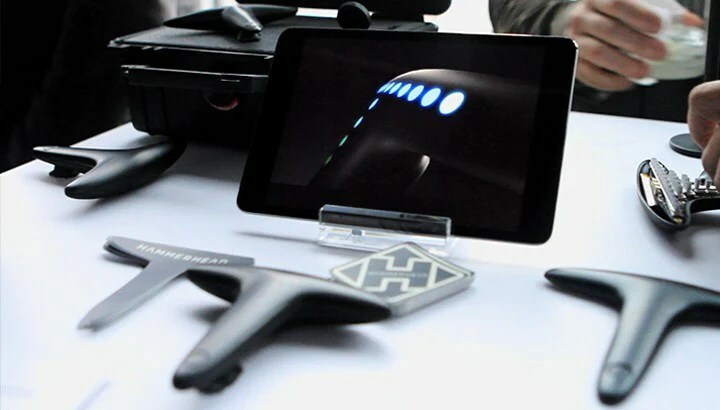 Using these crowdsourced data points, the Hammerhead could quickly guide riders safely and efficiently around common obstacles – both long and short term. For instance, if there is a particularly troublesome cobblestone street, the Hammerhead could just always avoid that avenue if the rider had that in her preferences. Or, more immediately, if there is construction that blocks off a bike lane, or the President is in town and traffic is a snarl – riders could actually help the community at large by flagging these issues. Sure, this is pretty pie-in-the-sky, but it is is absolutely possible with a little ingenuity on the app side. Unsurprisingly, this is a primary goal of ours. We are already building our app to rapidly respond to changes on the fly. From there, we just have to give cyclists a reliable, robust platform for inputting these variables. It is a challenge we are excited to tackle. That is why we are always looking outward in this process, turning over stones and old piles of punctured inner tubes. If we enable riders to flag hazards (or even things they really like! ), we can not only build a deep & global database of great routes, but also ensure that these routes are founded on and filled with data relevant to all cyclists. The implications of this are incredibly exciting to us – both within the context of our business, and as cyclists. Lots of work to be done so let’s get back to it! Here at Hammerhead we receive interesting emails from customers all around the globe. Most are fun or exciting, but some give us pause. A message we received from Mr Milan Shah in London recently caused us all to think about just who and what we are doing this for. In a two-week span in November, there were six cycling fatalities in London. See relevant articles here, here, and here. It appears that the usual outrage followed in the media and public at large. Blame, it seems, was directed primarily at drivers of large trucks as well as at cyclists. Truck drivers, for not keeping an eye out for cyclists; cyclists, for taking quick turns, wearing headphones, and often not wearing helmets. But blame is not the answer – and neither is outrage or fear. Certainly, as the bike-friendly laws of the Netherlands have shown, realigning legal incentive structures can make a difference. We are not passive people however. We owe it to ourselves to adopt the safest practices we can. Bike safety is central to why we put the rest of our lives on hold to build Hammerhead. We are cyclists ourselves, we have seen such tragedy and resolved to try to make safe cycling more possible. The amount of meaningful contribution that we make remains to be seen. Once there are thousands of our devices on roads all around the globe we will be able to draw some conclusions about the efficacy of our product. Biking, especially in cities and along busy roads, is a potentially dangerous activity. To do it safely, one must be aware of their surroundings, something difficult to do when there are hundreds of other people on the roads causing those surroundings to constantly change. Keeping one’s eyes on the road and other senses aware of the sounds and vibrations of passing traffic is a good rule of thumb. But it can be hard to follow when you are in a rush, are listening to directions via headphones connected to a smartphone GPS, or have your smartphone mounted on your handlebars. We know we bike differently when we are stressed, are beset by traffic, or are distracted by unfamiliar territory. Our thinking goes – would we not be better off if we had a device that communicated simple turn-by-turn nav directions that we can follow intuitively? Our testing thus far has shown that the Hammerhead’s light array has an effect similar to a stoplight. Once you adjust to the patterns, you can read it almost without thinking – leaving your mind free to focus on the ride itself. This, we think and hope, will help cyclists be safer out there on the roads. We made it – $190k! We managed to exceed our wildest expectations and hit our stretch goal of 190k! The last few hours have been really rather crazy on our end. Laurence and I spent the evening answering questions, talking to press while watching the campaign conclude. I am not sure what tomorrow morning is going to be like when we wake up to find the campaign over. It has been such an all consuming aspect of our lives for what has felt like such a long time, that it will be really odd to not be checking it constantly from here on out! We are really excited about the addition of the altimeter as something that will allow us to add a real valuable set of data to riders in their post ride analysis. The challenge of including one is one that we are excited to tackle. I must say that it really feel surreal more than anything to sit here with it having just concluded. My phone has been ringing constantly with supporters congratulating us. The support that we have had has been really moving at times. Now to get back to building Hammerhead full time! As a cyclist I was allowed onto the streets of Johannesburg at the age of 14, imagine a city with traffic like Los Angeles, taxis like Bombay and zero bike lanes. Johannesburg was definitely a quick way to learn the rules and dangers of the road. If Go-Pro’s were around in the 90’s I think my family would have put me in a bubble and locked me in a velodrome. Fortunately my love for cycling, large amounts of youthful ignorance and a desire to explore completely overruled the dangers and allowed me to get to know the streets of Jozi. There simply was no greater freedom for a teenager. I could visit friends, ride through massive late-afternoon thunderstorms and skate across the smooth tar after the rains. The bicycle was my first real access to independence. Cycling taught me an awareness on the road that I can confidently say has made me a better driver and far more road aware than friends who never “played” in the streets. When you are slightly podgy kid on a peugeot mountain-bike you are most definitely low on the road food chain in South Africa. As the years progressed I built up my bike and confidence of the better routes to and from friend’s houses. The worst intersection, the thinnest roads or pavements. Over my entire time riding I was fortunate to only be hit by cars twice, both minor accidents. My many other bicycle accidents tended to be related to attempts at riding up trees, into pavements without holding my bars or deciding that I was actually quite good at flying. Lets just say that icarus does exist in the cycling world and my four cracked helmets in my lifetime has taught me to wear them always! I recall a particularly bad accident in Cape Town, while crossing from side-walk to another, remember, very few bike lanes, I was riding in the evening and did not notice a steel cable dividing the road and sidewalk. My last minute, side-ways sliding / being thrown into a gutter was another one of those …. well … terrible moments. Part of this could have been avoided by actually having a dedicated place to ride. Recently Cape Town has improved infrastructure and certainly has done more for cyclists than Johannesburg. The community in South Africa is growing, healthy and making the streets a better place to be. Since I have moved to the USA I have been particularly appreciative of the growing awareness of cyclists and installation of bike lanes in places I have lived. Cycling still has a long way to come as an everyday occurrence in places like South Africa and the USA when compared to Europe. However, the last two years have arguably been some of the most exciting times for this transport’s history. Bike lanes and bicycle sharing programs are being pushed everywhere in the USA. I will go so far to say that cycling engages a community more, you recognize the nuances of your neighborhood, feel connected to places you visit and nothing quite brings a smile, well, at least in my opinion. It takes us out of our bubbles and puts our urban lives a little more in perspective. I commuted by car for 2 hours daily in Los Angeles last summer and can say that I developed a very advanced skill of being able to talk with myself. This my dear audience is not sanity. Cycling, riding, taught me about the streets of Jozi, it showed me an appreciation for quiet parts of the city. Cycling was my first social network when I moved to the USA. I figured out how to ride from my Apartment in Riverside to the awesome trails of sycamore canyon and a group of friends that I made there. Each new place forced me to be a little lost for a while but eventually sniff out the better places to ride. It took me four bad bike routes to get into the Santa Monica Mountains from the beach but this is life as a cyclist it’s only those who ride regularly that get to know the city, and even then they end up sticking to routes they know well. While we have been bootstrapping in New Jersey I quickly discovered the value of asking a bike shop where to ride. However planning a route involved sleuthing from the given keywords of “Bear Mountain”, “9W” and some time on Google maps. It all really comes down to local insight and the ability to share it. I knew that Hammerhead was a service I could use and it would be valuable. We are all essentially tourists and explorers of our environment, I find a fresh take on an old route is often the best way of getting an appreciation for it. Very often that requires a friend to push you out of your habits. Our team hopes to work on bringing some insight into the average bicycle ride. We benefit from having a very engaged community of supporters, and we thank you for bringing to our attention the recent announcement of Schwinn’s CycleNav bike navigation device at CES in Las Vegas. We even saw multiple comments on different articles about the CycleNav in which people strongly articulated their support for Hammerhead. We think that the announcement of the CycleNav is a great thing. 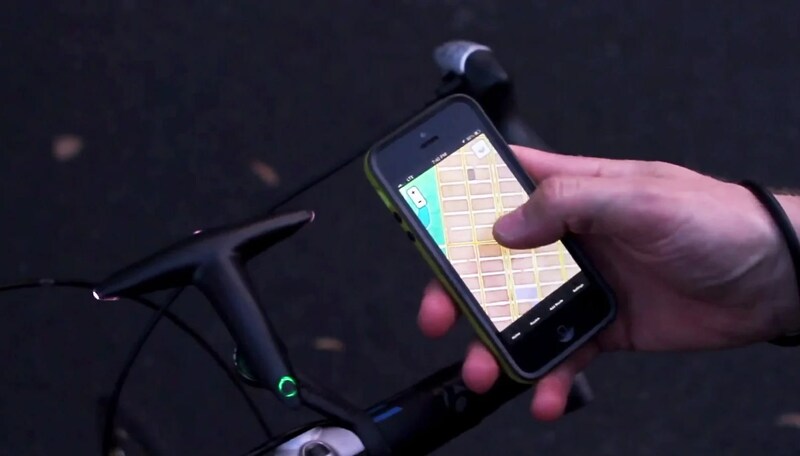 We believe that the problem of creating safer, easier bike navigation is one really worth solving. The fact that there is going to be another device out there on the road that positively affects the cycling community is wonderful. We are excited to see that Wal-Mart might be carrying a product that could help a number of people – as this is the avenue through which many make their purchasing choices. Schwinn’s entry into this space further emphasizes that we are not alone in recognizing that bike navigation is an issue that needs to be solved. Our vision however goes well beyond simply telling you where to go. We are building a system in which you will also be able to discover why you might want to go to a particular place. We are putting actionable human insight into what is a far too austere, disconnected experience at present. We are excited to be driving innovation within our favorite sport and we feel honored to see elements of our design in the Schwinn product. Again, a big thank you to all of our fans who sent this our way. I, Piet, grew up in Johannesburg, a city where renegade minivans are the main form of public transportation. Biking represented a way for me to explore Joburg at a young age in ways that would not have otherwise been possible. An early biking companion and friend of mine in high school wasChris Froome, who later was to win the 2013 Tour De France. Chris and I were both prefects at St Johns College. On one particular ride, Chris and I were mugged and Chris’ saddlebag was stolen. Incensed, and with youthful enthusiasm if not so much wisdom, we hotly pursued the assailant as we tried to coordinate the police to intercept him. When the police were finally able to intercept the mugger, they viciously beat him in front of us. As children of Johannesburg, this violence was not entirely unusual. 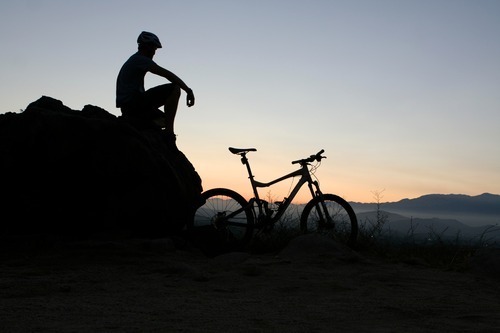 Laurence was then a talented mountain biker who I met through the high school cycling club. Being a few years behind us, he was affectionately known as “The Kid”. Laurence and I frequently headed off to races in Pretoria together in the back of his mom’s Land Cruiser. After high school, Laurence and I compiled a highly complimentary set of skills. We joined forces on hammerhead a year ago when he came to the USA to do a masters program at Brown University.